A devoted cannabis warrior Jack Herer unwaveringly believed that the cannabis plant, a renewable source of fuel, food and medicine, should be legal to grow and consume. When Jack Herer spoke about hemp, everyone listened. He was outwardly dismayed with the US government, which he said hid the facts from American citizens. His book The Emperor Wears No Clothes was originally published in 1985 in order to make this unknown information widely available. It became the seminal book on the history of hemp and marijuana prohibition. Here’s a beautiful overview of Jack’s life and work by Bonnie King. Jack spent the early 1970s in Venice Beach, California, where he opened two head shops. In 1973, he published his first book, G.R.A.S.S. 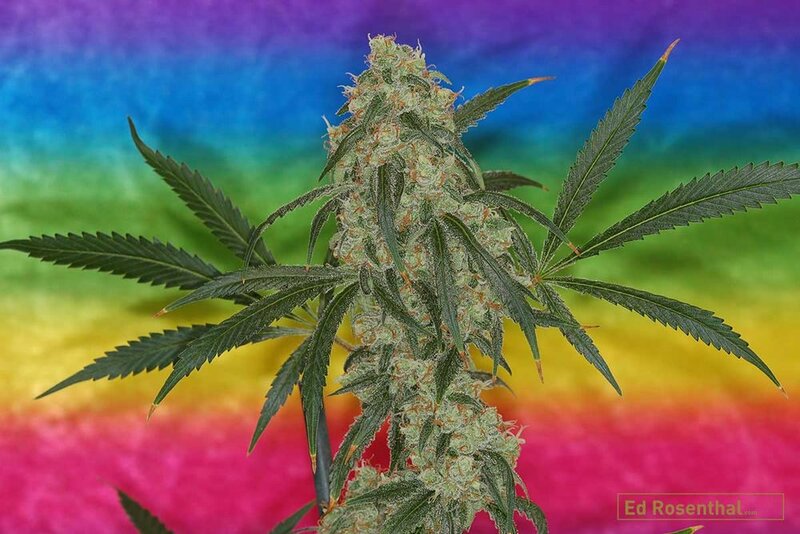 (Great Revolutionary American Standard System), and met his friend and mentor Edwin M. Adair, aka “Captain Ed.” Captain Ed changed Jack’s life, bringing enlightenment to what Jack had already learned about the far-reaching benefits of the hemp plant. In 1974, when Jack was 34, he and Captain Ed made their famous pact. In Jack’s own words: “We swore to work every day to legalize marijuana and get all pot prisoners out of jail until we were dead, marijuana was legal, or until we turned 84 when we could quit. We didn’t have to quit, but we could.” True to their word, they worked together on the issue until Captain Ed’s untimely death at age 50 from leukemia in 1994. After Ed’s death, Jack continued with their mission and lived on to fulfill their pledge. Jack Herer shouted his message from the rooftops, becoming the most well-known hemp activist in the world. There were those with whom Jack did not see eye-to-eye, but they found harmony by focusing on common goals. Chris Conrad, editor of the first edition of The Emperor Wears No Clothes, said the first time he met Jack, the two of them were arguing within minutes. “If you never got mad at Jack, and Jack never got mad at you, then you probably didn’t know Jack very well.” Jack was a good friend and a good guy to have on your side. Certainly, he was a lot of fun to smoke marijuana with! He had an indisputable talent for bringing all sides to the table. Many know Jack Herer’s name not for his activism, but for a high-grade strain of cannabis from Sensi Seeds with sativa dominant characteristics, named in honor of Jack’s work. It is a complex strain that requires some gardening talent to grow it optimally, yet people love it because of its mentally stimulating and uplifting high that is fresh with a peppery bite. In these qualities, it shares much with Jack Herer, the man. The Jack Herer strain has won several awards, including the 7th High Times Cannabis Cup, the “Academy Awards of Marijuana.” It has also become a popular choice as a parent strain with its mix of old-school skunk and the ever-popular west coast haze. Because of its genetic diversity, many Jack variants have also emerged on the market, bringing out different facets of the cross. In his book Jack reiterates cannabis’ low risk use, “A smoker would theoretically have to consume nearly 1,500 pounds of marijuana within about fifteen minutes to induce a lethal response.” Jack offered a reward of $100,000 to anyone who could prove marijuana had killed a user. To this day, no one has tried to collect. Every year, Jack and his crew would travel thousands of miles making appearances, book signings, and speaking engagements at hemp festivals and other events. Jack met hundreds of people a day, and to all of them he had the same message: hemp will save the world. He was also a pivotal figure in the fight for medical marijuana. In 1996, Jack assisted Dennis Peron in the passing of California Proposition 215. Ending prohibition was still a few giant steps away, but Jack was adamant that it was within reach—closer, with each educated voter. Jack was very opposed to taxing marijuana and became more fixed in his position with age. However, he understood progress, and the sacrifices required for advancement. In 2000, the Hemperor suffered a heart attack and a major stroke resulting in long-term rehab for ongoing speaking difficulties and loss of mobility. He was back in action after three years. In May 2004, he revealed that treatment with the aminita muscaria, a psychoactive mushroom was the secret to his recovery and the subject of an upcoming book. Jack was back and going strong. Jack’s tireless efforts did not go unnoticed by the larger cannabis community. In 2003, Herer was inducted into the Counterculture Hall of Fame at the 16th Cannabis Cup in recognition of his first book G.R.A.S.S. An award was also established in his name in 2004 by Patient Alliance. By 2009, Jack was back in full swing. He was speaking more clearly and said he felt better than he had in years. On September 12th of that year, he was at HempStalk in Portland, Oregon, where he was anxious to discuss the medicinal success of Rick Simpson’s Healing Hemp Oil, whom he expected to join on a European tour weeks later. He was enthusiastic about the future. After his well-delivered speech, Jack’s collapse and sudden heart attack were a shock. He was rushed to the hospital and showed some progress when transferred to a rehabilitation center about a month later, but was unable to fully recover. “The Hemperor” Jack Herer passed away on April 15, 2010, at the age of 70. He is survived by a worldwide circle of thousands of friends and fans. Jack’s life’s work was a gift to all generations, creating the foundation of a more enlightened social consciousness, and an example of what one dedicated man can do when he puts his mind to it and his life into it. Jack’s life’s work was a gift to all generations, creating the foundation of a more enlightened social consciousness, and an example of what one dedicated man can do when he puts his mind to it and his life into it.